Les Joynes (PhD) is a New York-based artist and scholar on contemporary visual cultures at Columbia University and founder of FormLAB, a multimedia art installation series that interface local and global visual cultures which has been awarded the Fulbright-Hays US Public Diplomacy Awards for Mongolia and China. He has exhibited at Brazilian Museum of Sculpture; the Norimatsu Museum Japan; Art Gallery of New South Wales; Bangkok Experimental Film Festival; Museu Brasileiro de Arte, São Paulo; The Barbican, London; and the Inside Out Art Museum, Beijing. His work has featured in Sculpture Magazine, NHK Television Japan, and Art Monthly, London. He has curated exhibitions in London and Tokyo and assisted the curatorial team for the First Taipei Biennial: Site of Desire. 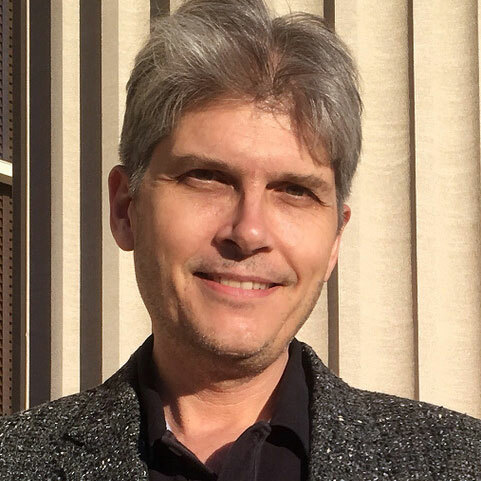 He serves on the editorial board for the peer-reviewed journal ProjectAnywhere (Australia), and has contributed to Art in America, Museum 2050 (Long Museum, Shanghai), and Going Beyond: Art as Adventure (UK). Les is a visiting faculty member at Renmin University, Beijing at the Institute for Cultural Industries; the Doctoral Program at Peking University, Beijing; the Cambridge University Centre for Research in the Arts, Social Sciences and Humanities (CRASSH); and Columbia University. At Columbia he also explores applications for the digital classroom and interactive critique. He has degrees from Central Saint Martins School of Art, London; Goldsmiths, University of London; Musashino Art University, Tokyo; and Boston University. Specializing in multimedia art, he received his PhD from Leeds Metropolitan University and his Post-Doctorate from the Escola de Comunicações e Artes at University of São Paulo, Brazil. He was a fellow at UAL’s Research Centre for Transnational Art, Identity and Nation (TrAIN) in London. He is represented by Thomas Jaeckel Gallery in New York. American Arts Incubator an initiative of the U.S. Department of State's Bureau of Educational and Cultural Affairs developed in partnership with ZERO1. American Arts Incubator is an initiative of the U.S. Department of State's Bureau of Educational and Cultural Affairs developed in partnership with ZERO1.